This week in gaming: Epic Games secures more exclusives, EA caves in to Belgian pressure, Marshmello performs in Fortnite, and more! John reclaimed his reviewing cap to find that Life Is Strange 2’s second episode shows that DONTNOD isn’t afraid to move away from the original season’s territory. Meanwhile, resident retro fan Nick rewound to the year 2004 when the world was first introduced to CJ in Grand Theft Auto: San Andreas. Early this week, Metro: Exodus publisher Deep Silver announced that it has reached an agreement with Epic Games to make the post-apocalyptic sequel’s PC version a timed exclusive on the latter’s official store for at least one year. The earlier Metro games are also due to be released on the Epic Games Store later this year. Shortly after the announcement, Deep Silver parent company THQ Nordic tweeted that the decision for the change was made by its sister company Koch Media, which owns the rights to the Metro franchise. Steam owner Valve updated the game’s store page with a notice condemning Koch Media’s decision and noting that it had no idea that the game would be pulled so close to release. In related news, Dauntless developer Phoenix Labs announced that it is transitioning its free-to-play Monster Hunter-like game from a custom launcher to the Epic Games Store on PC. Additionally, the company will also add cross-play functionality to the game’s upcoming console versions, with an Epic Games account linking all platforms. The publisher announced the news through its Canadian website and has since pulled all FIFA Points from Belgian copies of the game to adhere to country’s strict gambling laws following “further discussions with the Belgian authorities”. This decision comes a few months after the Belgian Gaming Commission declared that the loot boxes featured in games such as FIFA and Overwatch can be considered as a form of gambling. 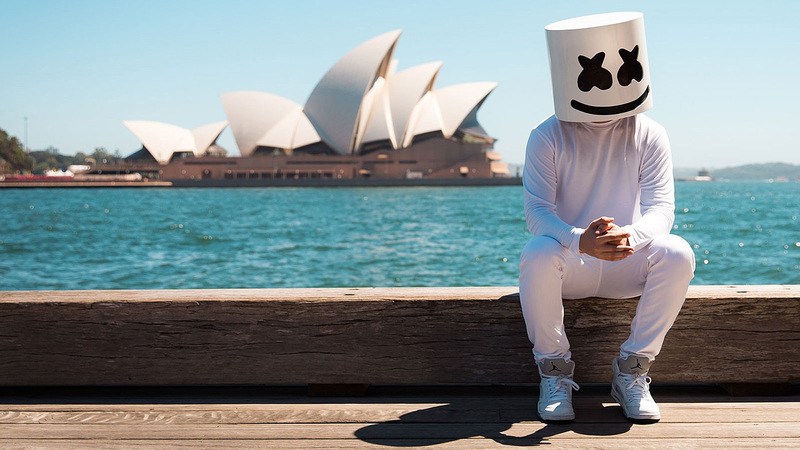 Popular DJ Chris “Marshmello” Comstock held a short concert for his fans earlier today, and it was hosted inside the Fortnite map’s Pleasant Park location – complete with dynamic stage transitions and a temporary ceasefire. According to Nikkei (via Gematsu), the gaming giant has told suppliers and developers to begin preparation for a cheaper, smaller Nintendo Switch that it may release before the end of the year. Nikkei reports that the new system will omit some features (such as removable Joy-Cons) to meet the lower cost requirement. Furthermore, Nintendo reportedly plans to announce a pricier version of its Nintendo Switch Online service. Nintendo did not comment on this latest speculation. According to a recent filing at the Japan Patent Office (via Twinfinite), Sony Interactive Entertainment has applied for a patent for a technology that allows a device to detect whether an app (such as a game) is from an older system and change the processor’s behaviour to act like on from the older system. In SIE’s case, it could allow the next PlayStation to emulate the PlayStation 4’s processor when it detects that the user has inserted a PS4 disc or has launched a PS4 game from their library. An interesting note is that Mark Cerny, the PS4’s chief architect, is listed as the author of the patent, which further points to Sony looking to use the technology in its upcoming system. During their recent earnings calls, Sony Interactive Entertainment and Nintendo told investors that their online service offerings reached 36 million and 8 million subscribers respectively. According to journalist Rod Breslau, and later confirmed by Kotaku’s Jason Schreier, Respawn Entertainment plans on announcing a free-to-play battle royale game based on the Titanfall lore. Breslau noted that the game will feature Overwatch-like hero characters and microtransactions. Respawn is reportedly set to announce the game, potentially named Apex Legends, this coming week. In a surprise move, Nintendo of America took to Twitter to announce that Mario will return to mobile devices this winter in Dr. Mario World, which is being co-developed with LINE and NHN Entertainment. As with Super Mario Run, Nintendo plans on launching the “puzzle” game for free with in-app purchases. In related news, Nintendo also revealed that it has delayed Mario Kart Tour, Fire Emblem Heroes, and other mobile titles to improve their quality. French studio Quantic Dream and Chinese publisher NetEase Games have announced that they have joined forces, with the latter purchasing a minority stake in the Heavy Rain developer. Speaking with Variety, CEO and Creative Director David Cage explained that both he and co-CEO Guillaume de Fondaumière will remain in their roles. When asked about the potential for Quantic Dream to venture into mobile gaming, one of NetEase’s key markets, Cage confirmed an intention to move away from making PlayStation exclusives. As for the company’s recent controversy surrounding its alleged culture of toxicity and crunch, de Fondaumière denied the veracity of such claims and reiterated the company’s gender and race-neutral environment in an email interview with GamesBeat. Here’s an extended look at Microsoft’s upcoming Super Bowl commercial dedicated to enabling players everywhere. With less than two weeks to go, 4A Games has prepared a primer for what we can expect to face when returning to irradiated Moscow. Nothing says beloved Disney and Square Enix crossover than a Skrillex and Hikaru Utada collaboration. Eurogamer’s Wesley Yin-Poole chronicled the tumultuous history of Starbreeze Studios – one of gaming’s most prolific stealth-action game developers.